Thank you for your interest in requesting a Crosby on-site rigging seminar at your location. 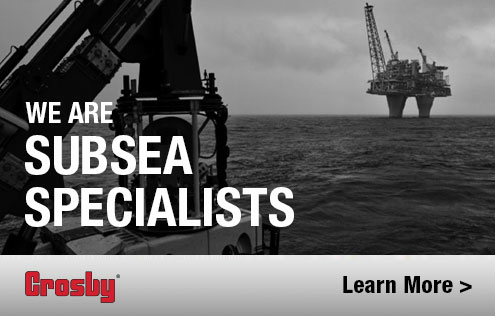 Crosby courses address the fundamentals of rigging for many different industries that use Crosby products in material moving activities. If you desire to request a Crosby rigging seminar at your location then simply click here to view the Seminar Request Form. When you open the form you can scroll to the bottom of the page, and click on “Download Seminar Request Packet” to view the available agendas. If you decide to request an on-site seminar, you will need to fill out the form in its entirety. After the completed form is available for Crosby to view, a determination will be made on the possibility of Crosby sending a trainer to your location. Due to current demand we normally schedule seminars no sooner than 30 days after the request has been approved. If you have additional questions about on-site training, please contact us at training@thecrosbygroup.com.